For those who may not know the term, road cycling refers to the familiar, recreational bicycling that we all love. It is simply riding on the road as you explore city streets, tree-lined trails, and beyond. And in that regard, Bend Oregon cycling has earned its reputation as “Bike Town, U.S.A.” countless times! It has an abundance of biking opportunities, from mountain biking to road cycling. Learn more for yourself down below! Road cycling is one of the most popular forms of recreation in Bend, especially during the warmer summer months of the year. And of all the incredible bikeways and biking trails that Bend has to offer, the Three Sisters Scenic Bikeway is the most renowned. Parts of this fantastic bikeway have been officially labeled as Oregon Scenic Bikeways by the state, meaning that these sections of trail have been identified as some of the most scenic routes in the entire Central Oregon region. In the midst of downtown Bend, Drake Park is home to the picturesque Twin Bridges Loop. This thirty-six mile (round trip) loop of trails is an Oregon Scenic Bikeway that takes riders on a breathtaking journey with sweeping views of high desert terrain, swathes of lush forest, rolling hills, and the mighty Cascade Mountains. Bachelor Party Out and Back Scenic Bikeway is another invigorating trail. It guides riders from Drake Park to Mt. Bachelor and back for a total of fort-five miles round trip. It’s a tough ride, but if you have the endurance for it, you will be rewarded. Revel at stunning views of Deschutes National Forest, the Cascade Lakes Scenic Highway, Cascade Mountains, and panoramic stretches of buttes. If you’re interested a day trip to the nearby Sisters or Sunriver, there are two trails to serve your needs. However, they are long trails, so make sure that you only attempt them if you have the endurance for them. And make sure you are properly outfitted with gear and supplies! You can take the Twin Bridges trail to Sisters, which is over forty-miles one way with an elevation gain just shy of 3,600 feet, or the Bend to Sunriver Scenic Bikeway, which is thirty-five and a half miles one way with a nearly 2,700 foot elevation gain. Contact our reservations team for more specifics on cycling Bend Oregon and other exciting activities and attractions. 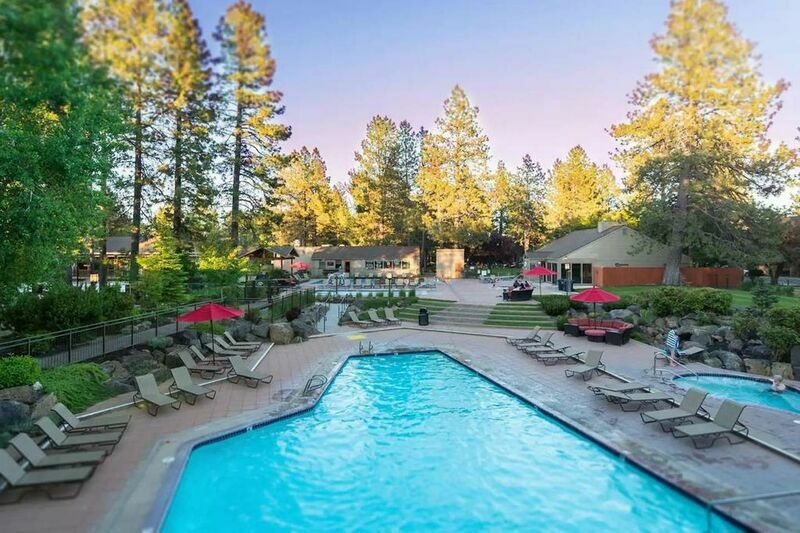 Experience the best during your time in Bend, and book your accommodations in one of our vacation rental properties today!